Israel has taken the next step in pushing its own friendly image in cyberspace: An army brigade dedicated to astroturing pro-Israel messages on Facebook, MySpace, Twitter and other social networking sites. The Israel Defense Forces Spokesman's Office is to begin drafting computer experts with an eye toward establishing an Internet and new media department unit, Army Spokesman Brig. Gen. Avi Benayahu said Monday. Speaking at the Eilat Journalists Conference, Benayahu said the new department would focus on the Internet's social media networks mainly to reach an international audience directly rather than through the regular media. Keep this in mind the next time you criticize Israel's invasion of Palestine online and get called an anti-semite. 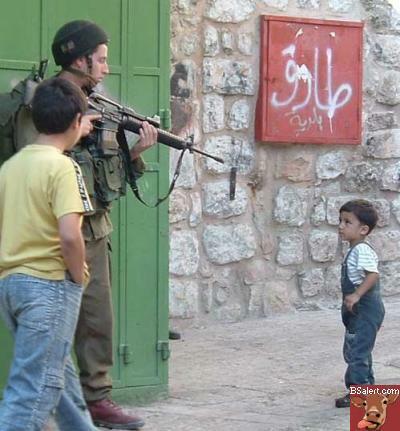 It could be a member of the IDF (instead of AIPAC). Think your favorite web site has integrity? Blogger Colleen Caldwell rants and riffs about whatever strikes her fancy — a run-in with her child's school principal, the rising price of Girl Scout thin mints, or an upcoming movie that caught her eye. "Has anyone out there read a book called 'The Ultimate Gift'? I just heard that a movie is being made of the book (which sold 4 million copies)," she wrote in a recent post on her site, Simple Kind of Life. The 30-year-old software analyst from Brooksville, Fla., went on to praise the inspirational message of the Fox Faith film, which opens today, about a trust fund baby who discovers the joy of giving. One thing Caldwell didn't mention: She was paid $12 to build buzz about the movie's opening and the charitable campaign — bringing her blogging-for-dollars take to more than $7,700. I can assure you here at BSAlert, we're not taking any money to run stories... after all, when have we said something nice about anybody lately? A U.S. Marine Sargeant was ordered to put a stop to an online auction which would have allowed the winner to pick the name the young Marine would legally assume. Sgt. Cody Baker might have become Sgt. Finest Freshest Fastest or Sgt. Mr. Clean although the winning bidder at the time the auction ended was FreebieStore.com with a bid of 30,000.01. Apparently the Dept. of Defense was not amused (is anyone surprised?). Who needs a plan when you have a new slogan! Because YOU, the A.D.D. American public can't be bothered to understand the details of anything, you get a new slogan! Aren't you excited? 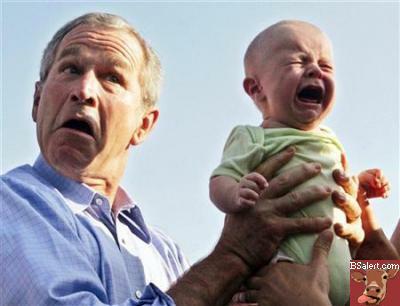 The Bush administration and the same folks who gave you: Operation Enduring Freedom, Cut and run, Stay The Course, You're-Either-With-Us-Or-With-The-Terrorists, You Forgot Poland, USA Patriot Act, Support Our Troops, Activist Judges, People Who "Hate Our Freedom," Islamo-Facists, Surrender Monkey, Iraq Is The Central Front On The War On Terror, Politics of Hate, Compassionate Conservatism, Weak On National Security and more have a new slogan... it's not a real plan. Instead it's a buzzword about the idea of a plan. It's called A New Way Forward. Feeling warm and fuzzy yet? Jesus went to the mall and a movie Saturday. 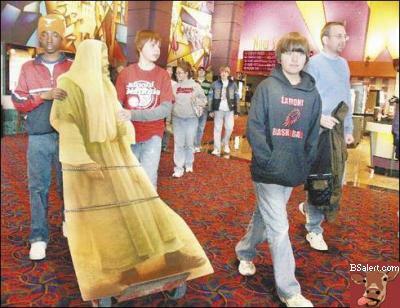 The life-size cutout of Jesus was accompanied by a youth group from Lamoni United Methodist Church who came to Jordan Creek Town Center in West Des Moines, Iowa to view the movie "The Nativity Story." As they took turns pushing the cardboard Jesus on a two-wheeled handcart through the mall's festive decorations and Christmas music, the faces of the shoppers around them registered surprise and curiosity. Hormel Loses Bid To Own "Spam"
The producer of the canned pork product Spam has lost a bid to claim the word as a trademark for unsolicited e-mails. Hormel has been trying to prevent software companies from using the word "spam" in their products, a practice it argued was diluting its brand name. Research has shown that via Google, most searches for "spam" had absolutely nothing to do with the food product. It's a shame the spammers don't have some sort of union. This case looks like grounds for them to claim that the meat product is usurping their famous brand. At a news conference after his spirited address to the United Nations on Wednesday, President Hugo Chavez of Venezuela expressed one regret: not having met that icon of the American left, the linguist and MIT Institute Professor Noam Chomsky, before his death. Providing Chavez can last after calling George W. Bush the devil, his wish may be granted because Chomsky is very much alive, and quite amused at the Venezuelan President's remarks. 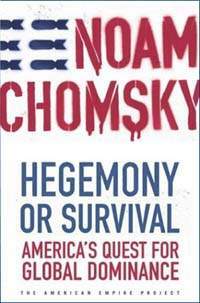 But also pleased that Chavez promotion of his book, “Hegemony or Survival: America’s Quest for Global Dominance,” has propelled it to best-seller status. By the way, this is a great book if you haven't read it. Read more of this article for links on free downloads of Chomsky podcasts. Snakes On a Motherf*cker's Arm! 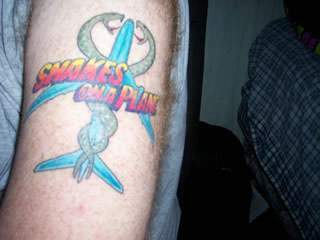 How sad do you have to be when you tattoo the logo for "Snakes on a Plane" on your arm? So sad that you can't even get comp tickets to the movie. Everybody wants their 15 minutes, but c'mon... you're lucky if you get 6 1/2 here. Oh yea, there's a stupid contest to see who is the most stupid sheep ever, and guess what they win? A screening of the movie! But wait! There's more. If you can get 12,000 people to vote for you, you'll get a free t-shirt! Oh yea!!! By the way, this guy's got quite the sense of humor for participating on our site. Good sport! 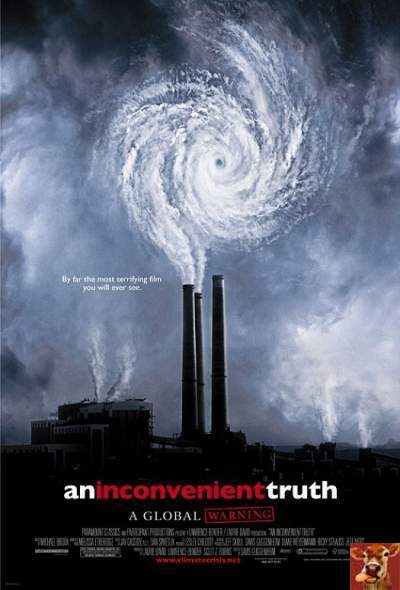 A tiny little movie making fun of Al Gore, supposedly made by an amateur filmmaker, recently appeared on the popular Web site YouTube.com. At first blush, the spoof seemed like a scrappy little homemade film poking fun at Gore and his anti-global warming crusade. Unfortunately, ABC News has found out the supposed amateur video is likely part of a professional effort coordinated by the Republican party (and likely oil company benefactors) to discredit Gore and his global warming educational campaign. In an effort to smokescreen the global warming issue, the spoof says Al Gore claims global warming is responsible for everything from the Middle East crisis to the outcome of American Idol. Whatever humor the PAC firm DCI Group, LLC were trying to deliver is overshadowed by the totally mean-spirited and intellectually dishonest manner in which they completely distort reality. United Airlines has begun showing an in-flight video about military glamor jobs that was produced and funded by the Department of Defense--a fact passengers do not learn from watching it. Sandwiched between NBC sitcoms and Discovery Channel previews, "Today's Military," as the 13-minute program is called, highlights five jobs that few members of the armed forces could point to as their own. It shows only one soldier beyond U.S. borders, who's "doing humanitarian work in Thailand" -- a remarkable focus at a time of war. The Defense Department paid United $36,000 to run the video for one month. Seventeen million customers of the online payment service iBill have had their personal information released onto the internet, where it's been bought and sold in a black market made up of fraud artists and spammers, security experts say. The stolen data, examined by Wired News, includes names, phone numbers, addresses, e-mail addresses and internet IP addresses. Other fields in the compromised databases appear to be logins and passwords, credit-card types and purchase amounts, but credit-card numbers are not included. It appears spammers have been buying and selling these lists and using them as sources for solicitations. So if you're getting more spam than usual, it could be because your personal information has been leaked to the black market. Wal-Mart, in an effort to change public opinion is now mobilizing armies of bloggers to push the pro-company line and counter other sites who are critical of the retail giant. 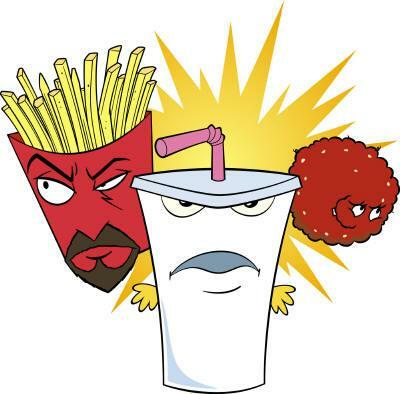 However, some of its blogger army are intentionally reprinting the company's dictates word-for-word and the monster corporation is concerned they may get "ripped" for being the shams they are. Yahoo and Match.com Accused of "Date Baiting"
There are two separate class action lawsuits being brought against various dating web sites, claiming that the companies posted fictitious ads, bogus solicitations, and even had paid employees bait people into renewing their subscriptions to popular online dating sites. Following up on a story that first surfaced in the gossip pages of the New York Daily News, The LA Times examines the details of a bizarre scheme aimed at scaring U.S. citizens away from importing cheap drugs from Canada. Marketing executives at Pharmaceutical Research and Manufacturers of America (PhRMA) agreed to pay a couple of writers to craft a fictional thriller in which a group of terrorists "uses Canadian Web sites to murder millions of unwitting Americans looking for cut-rate pharmaceuticals." Kenin Spivak, one of the novelists, says a PhRMA marketing executive was "intimately involved" in shaping details of the story's plot, characterization and tone. "They said they wanted it somewhat dumbed down for women, with a lot more fluff in it, and more about the wife of the head Croatian terrorist, who is a former Miss Mexico," Spivak said. The mayor and city council of Newark, New Jersey "hired a fledging newspaper called Newark Weekly News to publish 'positive news' about the city - and will pay $100,000 over the next year for it." The no-bid contract specifies that the paper will "generate stories based on leads" from the mayor's spokesperson and city communications staff. A senior scholar at the Poynter Institute for Media Studies said, "If you are publishing government propaganda in the guise of neutral, detached reporting, that's about as unethical as you can get." So you're home for your dad's funeral. Your mother is a zombie, your brothers and sisters are freaked out, and you're not feeling so swell yourself. The phone rings. Your mom goes to answer it; you figure it's yet another condolence call from a concerned friend, or maybe a neighbor offering a casserole. But without saying a word beyond "hello," your mom bursts into tears and slams down the phone. Surprise! You've just been contacted by a telemarketer asking for the deceased by name, hoping to sell him affordable, high-quality aluminum siding. Well, never fear, my friend. The Direct Marketing Association is looking out for you. In a national address, the President took advantage of the holiday and directed people towards a new web site, AmericaSupportsYou.mil - touted as a way to show support for the troops. Apparently one of those ways is to purchase yet another crappy ribbon lapel pin from a Pennsylvania marketing association (whose claim to fame is making a toaster that burns the Target logo on bread, and a stilletto heel that doubles as a beverage holder). Are any of these products actually made in America? Does any of the revenue generated go towards supporting our troops? Are you kidding me? 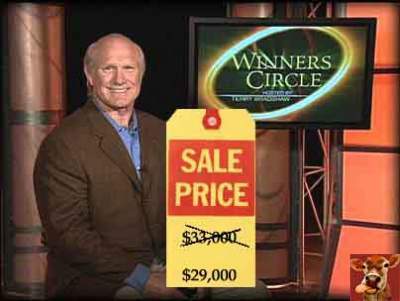 "For the bargain-basement price of $29,000, your company could be touted by the Hall of Fame quarterback in slots on CNBC and MSNBC," writes PR Week's Julia Hood, about Terry Bradshaw's "Winners Circle" and "Pick of the Week" TV segments. The segments praise companies for their "forward thinking and consistent principles," in what may seem like "a neutral third-party endorsement," but is actually "a paid placement that inconsistently identifies itself as such." The segments are produced by Broadcast News Corporation (BNC), which also pays to air them on MSNBC, CNBC and CNN Headline News. "We're doing this so we can tell a good story about companies," said one BNC producer. PR Week found that MSNBC either ran "a subtle disclaimer" or none at all marking the segments as paid commercial programming.